Gartner, Inc. highlighted the top 10 technology trends and drivers that will be strategic for Indian organizations in 2014. Gartner defines a strategic technology as one with the potential for significant impact on the enterprise in the next three years. Factors that denote significant impact include a high potential for disruption to IT or the business, the need for a major financial investment, or the risk of being late to adopt. A strategic technology may be an existing technology that has matured and/or has become suitable for a wider range of uses. It may also be an emerging technology that offers an opportunity for strategic business advantage for early adopters or with potential for significant market disruption in the next five years. These technologies can impact an organization's long-term plans, programs and initiatives. Tripathi said that while Indian companies may be keen to invest in new technologies, there are still roadblocks to full-scale adoption including business readiness, a lack of capacity for organizational change and low levels of IT funding. Implementing business process improvements, revenue growth through differentiated products and services, and business expansion are the top business priority areas of investment for Indian organizations. The BI, analytics and performance management segment is the hottest software market in India, fueled by IT prioritization and expanding business buying centers. A competitive business environment and economic conditions are also forcing enterprises in India to focus on using fact based decision-making tools to rationalize costs and time for businesses. Enterprises in India will continue to use BI to be transformative in their approach. Mobility in enterprise has created a huge opportunity for IT leaders to reduce costs, increase productivity and enable smooth business transactions. Swift growth in the prevalence of mobile devices, a decline in their price, and falling data plan costs have the potential to completely transform some business models. Organizations in India are beginning to leverage more personal interactions with greater reach and are also looking to evaluate mobile platforms as a delivery mechanism to provide an integrated view of multiple proprietary and publicly available datasets to help drive better real-time decisions. Social media in India has seen exponential growth in the recent past with enterprises using it for customer support and customers using it to offer opinions. A growing number of enterprises used social media to connect with their customers and for marketing campaigns in 2013 and social media is playing a pivotal role in Indian politics with the government and political parties increasingly using it to connect with citizens. Much of this growth can be attributed to increasing Internet penetration - which reached 198 million users (including mobile) as of June 2013 - making India one of the three most connected countries in the world. The M2M market in India is in a nascent stage but growing rapidly. Indian enterprises driven by demands to improve agility and productivity are evaluating the use of M2M-enabled solutions. Among the early adopters are verticals like utilities, automotive, financial services and transport, with other like healthcare and manufacturing following closely. The success of these projects is expected to result in broad-based deployments of M2M as an integral component of workflow automation. In India, server-based computing, which is also referred as "hosted shared desktop" or "terminal services," is seeing more adoption. More than 80 percent of desktop virtualization implementations are based on HVD. Organizations are only looking at desktop virtualization from the point of cost requirement, and they overlook other benefits such as full data backup, bring-your-own-device (BYOD) support, extended hardware life cycles, security, compliance and anytime-anywhere access. Adoption of cloud computing in India is currently limited to the private cloud. Organizations are focused on protecting their applications located in enterprise app stores, as well as the content on employees' personal devices used at work. Tablets are becoming the first-choice user device and this form factor's explosion is creating device ubiquity. Users are creating their own personal digital ecosystems with their own sets of apps, games and media. Content is starting to shift to the cloud but, in the future, the cloud will become the primary storage for personal content, and local versions of the content will exist only as staged or cached elements. In its early phase of development, enterprises are experimenting with the IoT across a range of sectors, applications, business models and technologies in an attempt to unlock its value. The IoT delivers tangible value to enterprises through the ability to better utilize remote assets and creates business cases in three key areas - operational technology (OT), digital supply chain and customer interaction. Collaboration technologies (otherwise known as workflow management or team collaboration) consist broadly of - real-time electronic meetings, content delivery, desktop and application sharing, text chat, group document markup with electronic whiteboarding, security and remote control. More advanced features include integrated voice over IP, file sharing, videoconferencing, content archiving, media streaming, feedback and polling. Real-time collaboration technologies not included in the Web conferencing category include instant messaging and stand-alone audio conferencing. In India interest levels in 3D printing are slowly picking up and this is reflected in the increased presence of providers in the 3D printing space. Because of the country's large population base, high volumes and low cost requirements, 3D printing is expected to take off rapidly and revolutionize industries as diverse as aerospace, consumer goods, healthcare, retail, manufacturing and the military. 3D printing has the potential to radically transform design, manufacturing and the supply chain model in India. Mphasis has appointed V. Suryanarayanan as its Interim CFO. V. Suryanarayanan is currently serving as Senior Vice-President & Head- Business Finance & Tax at Mphasis. 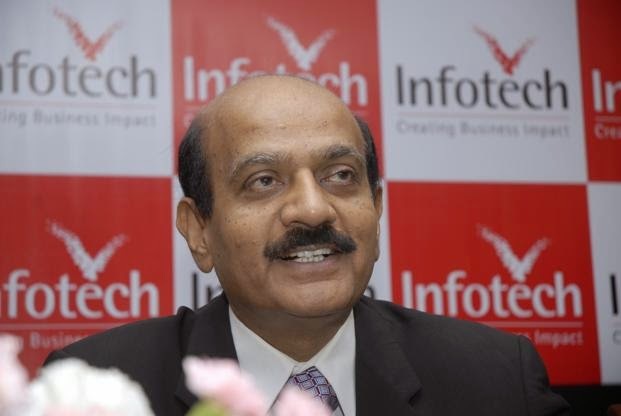 Current CFO, Ganesh Murthy, will continue in his role till June 3, 2014. V Suryanarayanan (Surya) is a Chartered Accountant with close to 30 years’ of experience. Surya joined Mphasis in 2009 post Mphasis’ acquisition of AIG System Solutions Pvt. 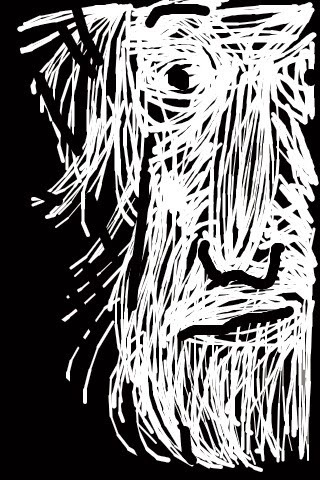 Ltd., a captive of AIG Inc. where he was the CFO. Prior to that Surya was the Chief Financial Officer at Deutsche Software Ltd. a captive of Deutsche Bank. He was also the CFO of Ramco Systems Ltd before his stint with Deutsche Software. 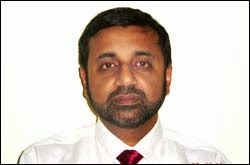 Ganesh Murthy has served as Mphasis’ CFO since July 2009. He is leaving Mphasis to pursue other career opportunities. 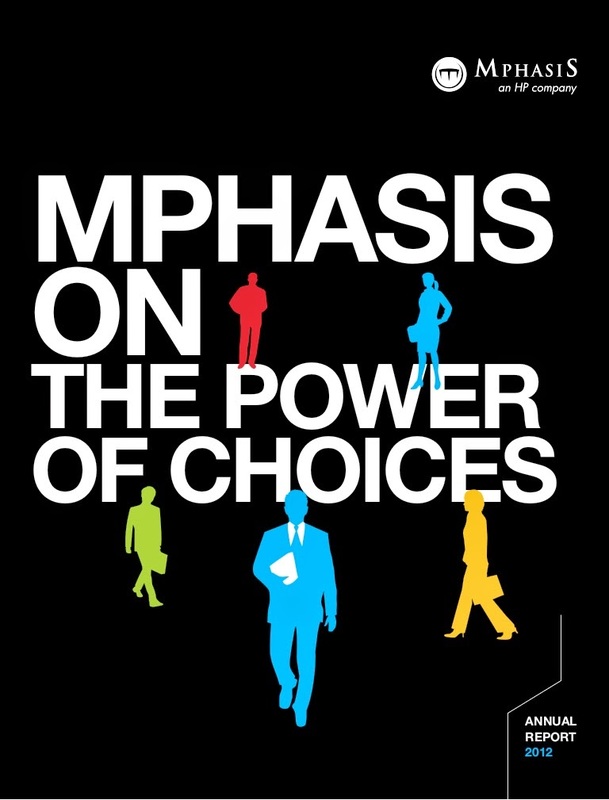 Mphasis (an HP Company) enables chosen customers to meet the demands of an evolving market place. Mphasis fuels this by combining superior human capital with cutting edge solutions in hyper-specialized areas. Contact with us on www.mphasis.com. 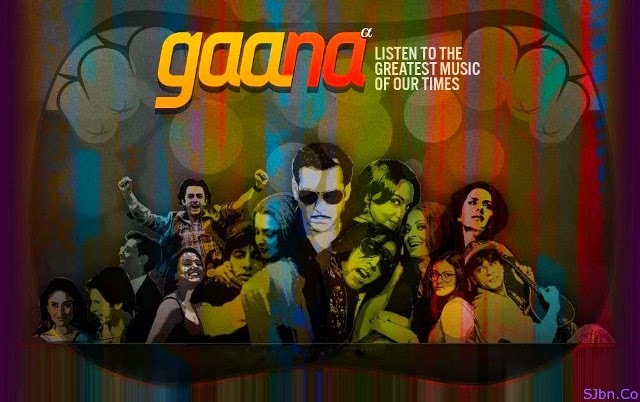 Gaana.com, an online music broadcasting service, has launched its upgraded Gaana 4.0 mobile app, integrating music videos and lyrics into its popular music streaming service. With a host of new features, music videos and lyrics integrated seamlessly within the application, the all new Gaana.com app will enable the listeners richer music experience. Music videos are integrated throughout the entire 3 million+ songs catalog, indicated with a grey camera icon when available. In addition to in-line integrations of music videos, Gaana has added a music videos section, featuring hand-picked, popular music videos, easily accessible from the home screen of the app. In addition to music videos, lyrics are now available from the full-screen player on select songs as well. When a song is playing, a user can open the full screen player to see a prominent "lyrics" button. One click more, and lyrics for the song being played are shown, allowing consumers to follow their favorite tunes word by word. 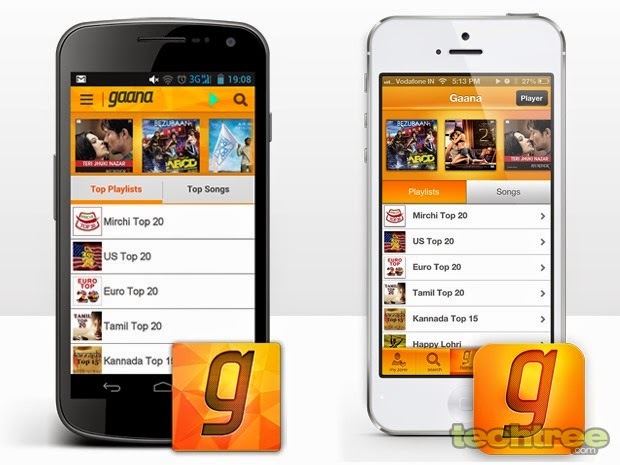 And finally, the entire Gaana UI has gone through a refresh, to improve readability and access to content. Favorites and downloads have also been brought up front, based on user feedback for easier access. And of course, Gaana users' favorite features, like Gaana Radio, Discover, Radio Mirchi, What My Friends are Listening To, etc, are all still available for all users. The upgrade is available on both iOS & Android platforms starting today. Ericsson estimates that India's mobile subscriber base will grow from 795 million in 2013 to 1145 million subscribers by 2020. Simultaneously, smartphone penetration will grow from 10 per cent or 90 million devices in 2013 to 45 per cent or 520 million devices. A strong user base and high-speed broadband connectivity will fundamentally change the way people live, interact and do business; with consumers expecting data connectivity at all times, everywhere. Mobile broadband usage is on the rise with social media, web browsing and chat driving more than a third of the mobile broadband traffic currently. Video consumption also continues to grow. However, ubiquitous mobile broadband experience for users is a challenge at present, with only a third being able to access internet over a mobile broadband network every time they attempt. "Consumers' value broadband and their expectations around experience are evolving fast. A few years ago access needs were limited to 'some-time', today it is 'real-time', and it is moving towards being connected all the time with access to high quality content. 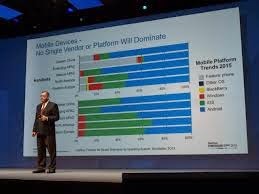 "Smartphones and MBB services are becoming more affordable. 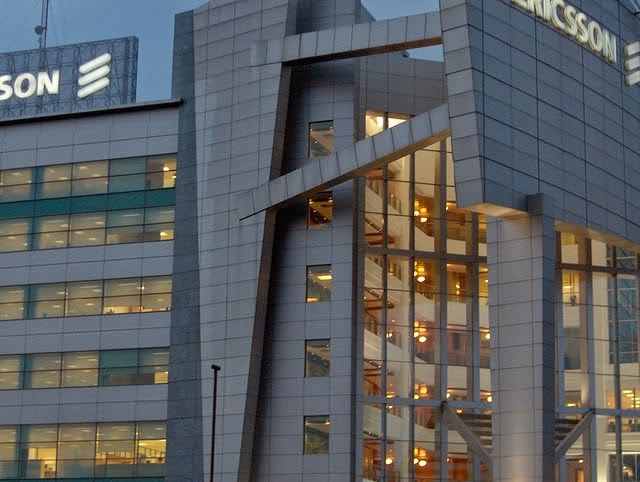 As a result, we are seeing the advent of a new Networked Society in India as in other parts of the world that will benefit consumers and businesses alike," said Ajay Gupta, Head of Strategy & Marketing, Ericsson India. Users also value superior network performance as they rate network reliability, coverage and speed as the top three parameters for a good mobile broadband experience. 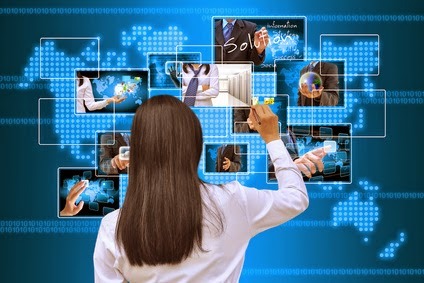 Operators looking to effectively monetize broadband services and tap future growth opportunities need to significantly invest in scaling network performance in three areas - ensuring network ubiquity, consistent app coverage and new charging models based 'personalization' that address consumer's specific preferences. "Consumers today expect ubiquitous and high performing networks everywhere they go. At the same time, different applications being used by consumers require more and more from the networks. For example, if social media today is all about sharing images and text, tomorrow it will be all about sharing HD Video in real time. 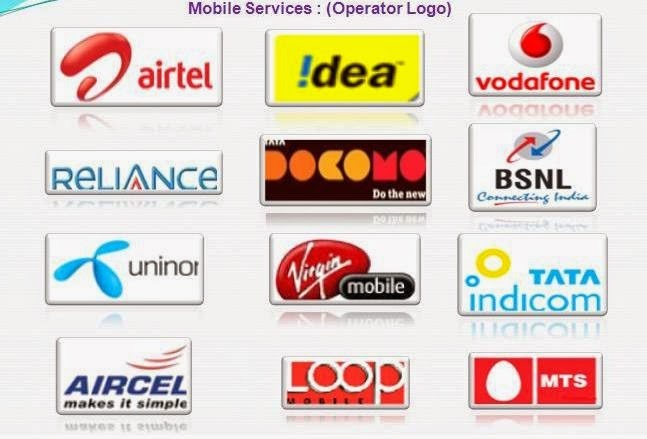 Therefore, to ensure a superior experience for consumers, operators need to ensure quality 'app coverage'. "The device experience, the network experience as well as the App experience, together constitute a superior consumer experience," stated Nishant Batra, Head - Engagement Practices, Ericsson India. At a media briefing today, Intel outlined its strategy to accelerate its growth in India, driven by an increased focus on new mobile form factors like 2 in 1s and Tablets. It also showcased a portfolio of these devices available in the Indian market today, offered by various OEMs and developer momentum to drive applications for Intel Architecture based devices. At the high end of tablets, some consumers are choosing 2 in 1s to get the best of both worlds. 2 in 1 devices represent a new category of computing. OEMs are developing a range of devices that provide consumers with a choice, combining the creation capability of a notebook or laptop and the consumption capability of a tablet into the one device. 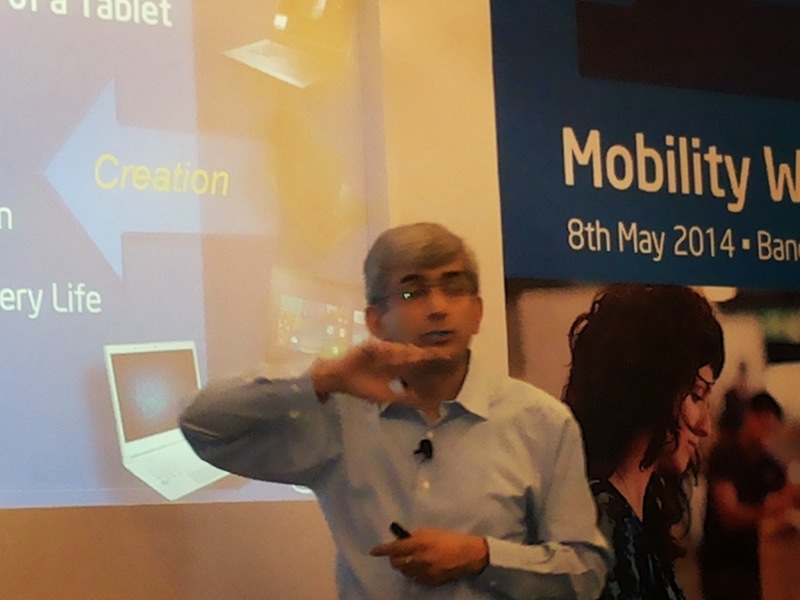 At the press briefing, Intel displayed a range of Tablets and 2 in1s from Acer, ASUS, Dell, ECS, HP, Lenovo and Panasonic. Intel estimates the overall tablet demand in Asia Pacific and Japan will be up 32 per cent Year-on-Year in 2014. In particular, India, Indonesia, Japan and Australia will equate to 59 per cent of tablet demand. Tablet demand in India is forecast at 16% of the Asia Pacific and Japan (ex-China) demand for 2014. Based on a new low-power, high-performance microarchitecture “Silvermont,” (announced in May 2013), “Bay Trail” is Intel’s first tri-gate 3-D 22nm quad core SoC and its most powerful processor to-date for tablets and other sleek devices that provide a balance of performance, features and battery life. The flexibility of the Silvermont microarchitecture allowed Intel to deliver multiple variants of the platform to market for the tablet, 2 in 1, entry laptop and desktop and all-in-one (AIO) segments. “Bay Trail-T” is the next-generation 22nm quad-core Intel Atom SoC for tablets and 2 in 1 devices. The “Bay Trail-M” and “Bay Trail-D” parts are for innovative entry-level laptops, 2 in 1s, desktops and AIOs that will be branded Intel Pentium and Intel Celeron. 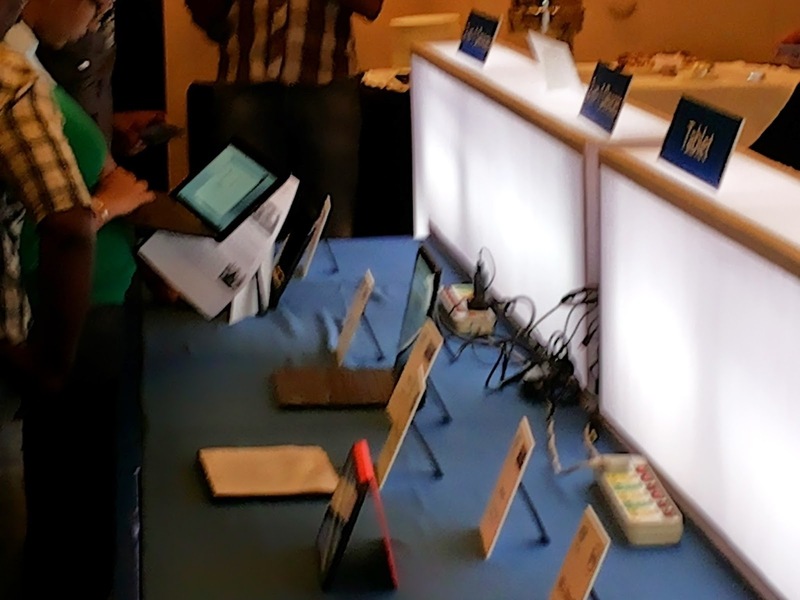 On display at the event was the Baytrail-M based Lenovo Ideapad Flex 10 Laptop and a few Baytrail-T based devices like the Asus* Transformer Book T-100, Dell* Venue Pro 8 tablet and the HP* Omni10. Intel also talked about the upcoming 2.13GHz Intel Atom processor Z3480 (“Merrifield”) that offers the ideal combination of fast, smart performance and long battery life for Android smartphones and tablets. The 64-bit ready SoC delivers best-in-class compute performance for the mainstream and performance segments, and solidly outperforms the competition in compute-intensive application, web application and light media editing performance. Merrifield also delivers best-in-class battery life. Also coming soon is the next-generation 64-bit Intel Atom processor, code-named “Moorefield” in devices expected to be available second half of this year. Building on the Merrifield feature set, Moorefield adds two additional Intel architecture (IA) cores for up to 2.3GHz of compute performance, an enhanced GPU and support for faster memory. Moorefield is optimized for Intel’s 2014 LTE platform, the Intel XMM 7260, which the company introduced at the Mobile World Congress earlier this year. SapientNitro, part of Sapient has announced that KV Sridhar has joined the company as Chief Creative Officer for India. Widely respected as a creative leader in both Indian and global advertising, Sridhar, popularly known as 'Pops', joins SapientNitro to address growing client demand for the agency's unique combination of creative and technology service offerings in the Indian market. Based out of Mumbai, Sridhar will be a member of the global executive creative team and will work alongside Sapient India Managing Director, Rajdeep Endow, as a critical part of the management team leading an expanding business in APAC. "Marketers now think differently about brand-consumer engagement and recognize the critical need for strategy, creative and technology to blend together, to move from just creating ads to creating worlds, or as SapientNitro refers to it, Storyscaping," said KV Sridhar. 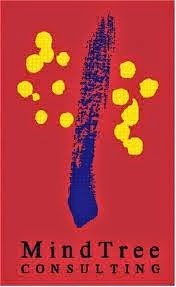 "The canvas has changed in a way that can no longer be constrained in the traditional advertising model. I am thrilled to join SapientNitro as they are leading this change, and redefining what it means to be an agency in today's hyper-connected world." 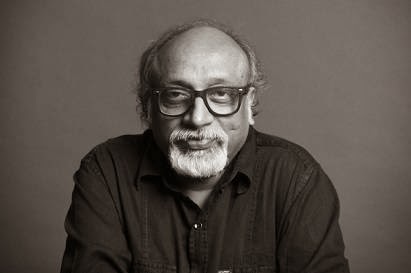 With a creative career spanning three decades, Sridhar is one of the most respected creative leaders in the Indian advertising industry, and moves to SapientNitro after 17-years as Chief Creative Officer of Leo Burnett - India & Subcontinent. From humble beginnings as a Bollywood film billboard painter to his ascent as a creative visionary, Sridhar is today a regular on Indian and International award juries, and a powerful voice for the future of creativity. "Pops, a creative powerhouse renowned for his ability to lead and develop talent and his desire to challenge the status quo, shares our vision for redefining storytelling for an always-on world," said Gaston Legorburu, Worldwide Chief Creative Officer, SapientNitro. "Brands today recognize the need for sustaining consumer engagement across devices and channels to keep pace with the shifting expectations of the increasingly-connected consumer. At SapientNitro, Pops will be a strong contributor to that evolution and will undoubtedly further our ability to create strategic advantage for clients in this incredibly important, rapidly-expanding market." "I am delighted and honored to welcome a gifted creative leader of Pops' caliber to our leadership team," said Rajdeep Endow, Managing Director, Sapient India. "Pops' creative excellence and his deep expertise in the Indian market will be instrumental to our ability to serve clients in the region for our unique blend of connected capabilities across brand, digital, experience design and technology." Sridhar joins the growing number of forward-looking creative leaders who have joined SapientNitro globally in recent years, reflecting the company's commitment to evolve creativity and strengthen our portfolio of services and talent to serve clients in every strategic market across the world. SapientNitro won over 200 creative awards in 2013, including being named Creative Agency of the Year by MediaPost's OMMA Magazine in 2013. Mindtree, a global information technology services company, and SAP, market leader in enterprise application software, today announced their first Managed Mobility Offering for the Australia market. Mindtree will deliver SAP mobile solutions in the cloud and with a pay-by-usage model. Managed mobility services from Mindtree and SAP enable organisations to rapidly mobilize their business with little complexity, minimal set-up time, and zero infrastructure costs. 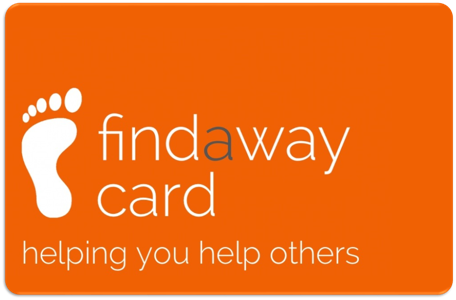 In addition, the companies offer a suite of pre-built ready-to-deploy apps that clients can utilize for business scenarios ranging from enabling payments to managing loyalty points. SAP Customer Loyalty, for example, is a customizable mobile application designed to enable consumer-facing brands to build stronger relationships with their customers, as well as boost customer loyalty, transaction volumes, and conversion rates. “This managed mobility cloud offering speeds time to market through a low-risk solution that cuts across industries,” said Parthasarathy NS, President and Chief Operating Officer, Mindtree. “Mindtree’s managed mobility offering combines the best of both worlds: Mindtree’s expertise in delivering superior mobile experiences and SAP’s leading enterprise mobility portfolio,” he added. Banking analytics, risk and compliance pioneer, iCreate, has announced a strategic partnership with tax information reporting leader, Convey Compliance Systems, Inc., to help global banks accelerate their FATCA compliance initiatives. iCreate’s 8-year track record in banking data aggregation providing analytics, risk and compliance solutions has teamed up with Convey’s 28-year track record in tax information reporting to bring the global marketplace a solution that is end-to-end and best-in-class for helping financial institutions identify FATCA-impacted accounts and seamlessly manage their reporting and withholding obligations. iCreate's recently launched Fintellix FATCA Compliance system integrates seamlessly with core banking systems. Fintellix has the ability to run business regulations on consolidated enterprise data and extract reports, analytics and regulatory formats to determine FATCA-impacted accounts. 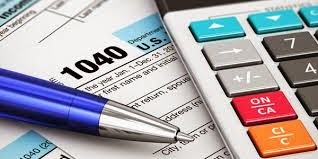 Convey’s Taxport platform then applies the appropriate FATCA rules, generates the returns, and transmits the data from the bank to the submitting authority or to the IRS, depending on the bank location and current IGA status. This seamless “end-to-end” data solution also provides tools to manage the withholding and remittance of payments on recalcitrant accounts. With the combined solution, banks can rest assured that they have the tools they need to efficiently deliver timely and accurate FATCA compliance reporting. Speaking on the occasion, Anup Pai, COO, iCreate, said, "We are delighted to partner with a category leader such as Convey with their close to 3 decades of specialised expertise in compliance reporting. This partnership would be of tremendous benefit to global Financial Institutions, as well as to regional Financial Institutions that have a substantial US/OECD customer portfolio as they prepare for FATCA compliance as well as the looming CRS guidelines." 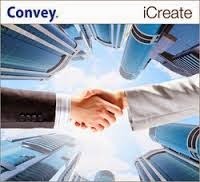 Jon Paradis, Vice President of Alliances at Convey added, "We are equally delighted to partner with iCreate who has a deep understanding of banking compliance and a robust compliance platform. Merging these capabilities with Convey’s knowledge and expertise of US tax information reporting and withholding provides a compelling solution for global banks to address their current and future tax compliance challenges." Caradigm, a population health company, and Symphony Analytics, a division of global innovation and development services company Symphony Teleca, recently announced they have signed a business cooperation agreement to help healthcare providers rapidly improve clinical and financial outcomes through comprehensive healthcare analytics solutions. Under the agreement, Symphony Analytics will provide strategic consulting and implementation services to healthcare providers adopting the Caradigm Intelligence Platform and Caradigm analytics applications, including Caradigm Readmissions Management. Symphony Analytics will also partner with Caradigm to develop and bring to market new predictive analytics applications, such as revenue cycle management analytics, which leverage the clinical, operational and financial data aggregated by the Caradigm Intelligence Platform from across the healthcare community. In addition, Symphony Analytics will offer Caradigm’s analytics solutions to its customer base. 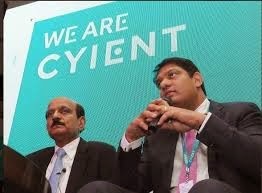 Today Cyient Limited, formerly known as Infotech Enterprises Limited, announced its new name is official based on approval from a shareholders’ vote. The company, which reported a 17.8 percent increase in 2014 revenue, recently named Krishna Bodanapu, formerly president and chief operating officer, as chief executive officer and managing director. The new brand is designed to reinforce the company’s longstanding commitment to working closely with clients and developing innovative solutions to solve complex problems. The process of determining the new identity involved various brand specialists and the new name was tested in 17 languages. Since its founding as Infotech Enterprises in 1991, the company has become a global leader in engineering, networks and operations: from being involved in every major aircraft design program to mapping and managing over 32 million kilometers of road data that contribute to safe and efficient driving. Cyient has more than 12,000 associates across 38 global locations. Clients include major aerospace, manufacturing, transportation, utilities and communications companies. Elements of the Cyient brand, including a new logo, website and marketing materials, have been developed in partnership with global brand agency Wolff Olins. New signage is being implemented in each of its global offices. 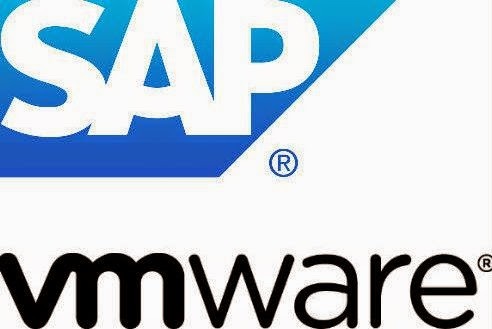 To empower customers to innovate, simplify and move toward a software-defined data center architecture, SAP AG and VMware has announced that the SAP HANA platform on VMware vSphere 5.5 for production use has been released to customers. By combining the power of SAP HANA with VMware vSphere 5.5, a foundational component of VMware vCloud Suite, customers can innovate and simplify their data centers by achieving faster time-to-value, higher service levels and lower total cost of ownership (TCO). 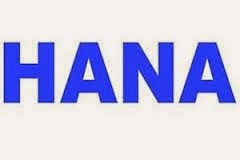 ·* SAP HANA on vSphere has been released to customers on certified SAP HANA appliances or on SAP HANA tailored data center integration application-verified hardware. * Additional deployment best-practices and consideration are available via the SAP Notes tool and www.saphana.com. 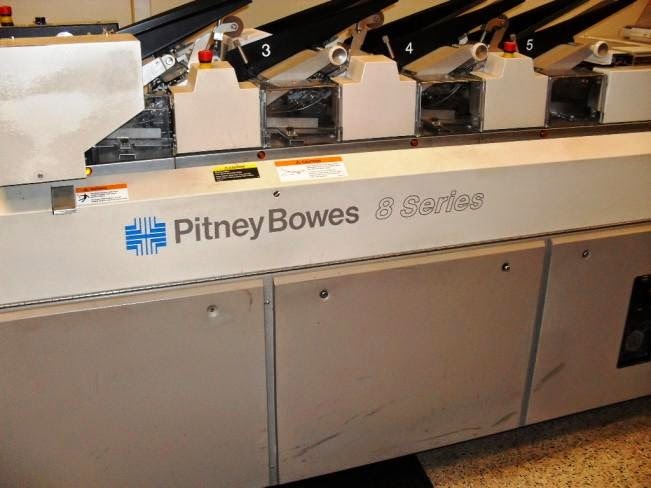 Pitney Bowes, a global leader in mailstream and document management solutions, has installed the Pitney Bowes Mailstream Evolution (MSE) automated inserting system at Avon Global Pvt. Ltd. in Chennai. The MSE system is one of the world's most advanced mail finishing lines combining processing speed and document integrity with per-mail piece FileBase tracking. Any BFSI, Telecom, Utilities, Ecommerce or Services organization that sends statements or any other form of communication to its clients, can add much greater efficiencies and unparalleled integrity to its processes by using Pitney Bowes technology. As a new entrant in transactional mail fulfillment and variable data printing, Avon Global is now able to provide more value added services to their clients owing to the MSE’s capabilities. “Pitney Bowes runs a direct sales and service organization for the Enterprise Business segment and being the only organization in this space with direct operations in India gave a sense of comfort. As the mailing industry grows, a majority of corporate from BFSI, Telecom and other sectors like Hospitality etc. will begin to outsource their mailing jobs to mailers; We wish to remain focused on attracting these jobs with the world class technology and service.” said, Vasanthakrishnan TRa, Founder, Avon Global Solutions Private Limited. “Standard trends in the market are short print and finishing runs, faster turn-around times and increasing customer SLA expectations. Due to our global and local experience, Pitney Bowes is well positioned to address these trends and more importantly, back these trends with adequate services and solutions, given the critical nature of reaching customers.” said Rohan Mathur. The Mailstream Evolution Inserting System is the successor to the highly reliable Pitney Bowes FPS Split Drive Inserting System. The Mailstream Evolution Inserting System incorporates several upgrades that provide greater flexibility, productivity and integrity. 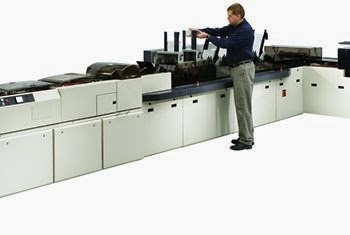 The Mailstream Evolution Inserting System processes up to 14,000 mail pieces in one hour for regular-size letters, 12,000 pieces per hour for 6x9 envelopes; and 9,000 pieces per hour of flats mail. The system can be customized through a range of flexible features and capabilities that can help mass mailers achieve both current and future business needs. “With Pitney Bowes as our technology partner, it gives us the sense of comfort that we have the required back up and support in place. We wanted to partner with a company that has solutions right from pre-print document enhancement to per piece tracking and has the service excellence and reach.” said Vasanthakrishnan T Ra. Gemalto, a leading digital security company, announces that its Machine-to-Machine (M2M) Software as a Service (SaaS) solution is providing remote PC monitoring and real-time maintenance for ADLink, a global provider of embedded industrial computing products and services. ADLink industrial PCs are used to manage and control business processes and assets such as medical equipment, digital signage, communications infrastructure and industrial automation. Gemalto's SensorLogic Agent and Application Enablement Platform tighten and simplify ADLink control and monitoring solution deployments, and greatly accelerate new project timelines by six months to a year. This device-to-cloud offer allows all ADLink customers to continuously monitor their devices and respond immediately to critical situations. Data collected by the monitoring software agent - including CPU speed, system restart reason, and total operation hours - is then transferred to the cloud. A web-based dashboard can be securely accessed from anywhere at any time, allowing users to immediately assess performance levels. "The flexible Gemalto solution is ideally equipped to serve our wide range of embedded solution customers across many different vertical markets without the need for a dedicated software stack for each application," said Dirk Finstel, CEO EMEA at ADLink. "Gemalto's strong technical support helped us quickly port SEMA Cloud to ADLink devices for an accelerated launch along with the ability to scale up as business and technology needs expand." "ADLink's device-to-cloud strategy is a new model for all critical industrial businesses, demonstrating the impact and benefits of M2M on both instant data collection and management," said Laetitia Jay, Vice President of M2M Solutions and Services at Gemalto. "The solution sets a benchmark for easy to deploy M2M services offering new revenue streams for service providers, added value for customers and optimizing operations with improved Edge-to-Enterprise communications." Xerox Research Centre India (XRCI), Xerox’s latest global research location that captures innovation opportunities for Xerox in emerging markets to advance Xerox’s position as the leading global provider of document and business process services conducted XRCI Open 2014 - Xerox India’s 1st Open Innovation Symposium in Bangalore. The event saw the participation of eminent institutes namely IISc, IIT Bombay, IIT Madras, IIT Kharagpur, IIIT Hyderabad, IIIT Delhi, IIM Indore, Singapore Management University among others as a part of panel discussions, keynotes, and poster presentations. 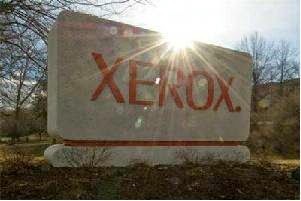 Traditionally, Xerox has been actively engaged in productive collaborations with academia through a number of initiatives such as research grants and open innovation projects. The goal of XRCI Open was to further strengthen ties with the academic research community in India and to encourage researchers to work on key problems across different technical domains, such as data analytics, machine learning and optimizations, mobile and distributed computing, human computation, game theory, ethnography and design. “We are proud of our rich history of innovations, and the same innovative spirit and passion continues to drive us”, said Manish Gupta, Vice President, Xerox Corp and Director of Xerox Research Centre in India during his welcome address. Manish spoke about innovations from Xerox Innovation Group in industry verticals like transportation, healthcare, education and banking, and referred to exciting opportunities to leverage technology to make a difference in the world at large, and especially, emerging markets like India. Highlights of the events included keynote talks, poster presentation from students and panel discussions on two emerging technology topics. The first keynote address was by Professor Rishikesha T. Krishnan, Director and Professor of Strategic Management at the Indian Institute of Management Indore that centered on a study of corporate innovation centers in India, addressing issues from a strategic perspective as well as from the perspective of an individual contributor working at these centers. In order to create successful products, Prof. Krishnan stressed that it is very important to first immerse oneself into the lives of the concerned people and know what their real needs are. The first panel discussion addressed ‘’Smart Cities” movement emphasis on the nature, scope and challenges of the concept. Eminent panelists Prof. T. G. Sitharam (IISc), Mr. Prashanth Bachu (EMBARQ India), Prof. Vinayak S. Naik (IIIT Delhi), Prof. Niloy Ganguly (IIT Kharagpur) and Prof. Archan Misra (Singapore Management University), shared their opinions and perspectives about how mobile technologies, crowd-sensing and big data analytics will play an active role in new developments in this realm for emerging markets such as India. A key conclusion of the panel was that smart city applications associated with retail, transportation, logistics, location-based services, sustainability and social networking are here to stay. The second panel discussion was on “Data Science”, a terminology introduced off late, to refer to different data mining, high performance computing, machine learning and statistical techniques that are used to enable sophisticated analytics over Big Data. The distinguished panelists Prof Umesh Bellur (IIT Bombay), Prof. B. Ravindran (IIT Madras), Prof. P. Krishna Reddy (IIIT-Hyderabad) and Dr. Ashish Mahabal (Caltech) shared their perspectives on role and significance of analyzing Big Data in astronomy, smart grid and agriculture domains and laid out interesting research challenges that need to be addressed. The afternoon session began with another enthralling keynote address by Pramod Varma, Chief Architect at UIDAI (Aadhaar project). During the talk, Dr. Varma shared his experiences with building the technology system that powers the Aadhaar project. Aadhaar, India's Unique Identity Project, has become the largest biometric identity system in the world, already covering more than 580 million people. Its strength lies in the simplicity of its design, sound strategy, and technology backbone issuing one million Aadhaar numbers and doing 600 trillion biometric matches every day. The essence of the symposium was to encourage students and researchers from industry and academia to discover opportunities to collaborate and develop pioneering solutions that matter to the world. The event also showcased a gallery of posters presented by research scholars. The posters were selected through a peer-review process, and awards were given for the top two posters based on technical merit and presentation style.